Built in 1928 & formally known as Edwood Glen Country Club, the course was purchased by the current owners in 1980. We've made improvements to the golf course and facilities over the years to keep up with the sport. We are pleased to have grown from 75 members to more than 300. We are family oriented; we appreciate your support and value your friendship. Contact us for more information about country club events and memberships. Our Par 70 features a mixture of holes for golfers of all ages and stages. The yardage is 6,135 yards from the whites, and 5,642 yards from the reds. You'll always enjoy a personal experience when you are on our course. We encourage young people and golfers of all levels to come out and join us. Our rates are the lowest in town. You can come out and play 18 holes of golf and have a fun time while not losing a golf ball. Join us at Bello Terra in Lafayette, Indiana, for another year of golf and, as always, friendly people with whom to swap your latest golf stories while enjoying our new clubhouse. Please call 765-463-1100 for current rates. 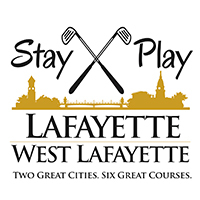 Call 765-463-1100 for rates and tee times. Contact Bello Terra Golf Course at 765-463-1100 for more information and details on holding a golf outing at the course. Contact Bello Terra Golf Course at 765-463-1100. Contact Bello Terra Golf Course at 765-463-1100 for onsite or nearby dining options. This profile was last updated on 07/23/2018 and has been viewed 9,688 times.